How Much Money Can Be Made Licensing Music? A lot of talk goes around about the importance of music licensing as a revenue stream for your music career and also as a means of increased exposure. And you hear people talk about either the mountain of money that can be made and you also hear people talk about how the money isn’t really that great. So what is the truth, especially for the independent artist? Okay, we won’t stop there as it’s a cop out. But it does depend on a few things, like how the music is used, what it is used for, how long it is used for and what “rights” the production company is willing to pay for. 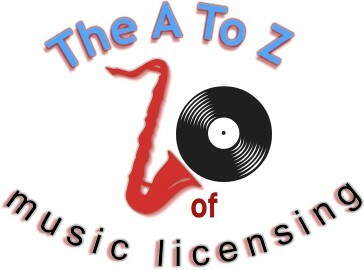 So first off, permission to use music is needed from the music publisher and copyright owner. And a “right” just means what media they have the right to play your music on. For the small, independent artist with little clout, this will probably be “all media excluding theatrical.” As it suggests, this includes the right to play the music on everything and anything a television show could be broadcast over. Typically the fees are larger than those paid for “all television and home video” described below. So now the big answer for the independent, non-stature artist: fees are typically from $350 to a little over $1,000 for television. For films, the fee could be a couple thousand dollars. That’s the sync and master use fee. Performance royalties are another subject. - Free television: the major networks, independent local stations and syndication. For a well known song, typical synchronization fees are $1,750 to $3,500 for five to six years. Life of copyright license fees for use in hit series could be from $6,000 to $12,000 depending on the music budget, how important the song is for the scene, how long it’s used for and how many times it’s used. - Pay or subscription television: channels like HBO, Showtime, and the Disney Channel. Typical fees would be from $2,500 to $3,500 for well-known songs for five years to six years. - Basic cable television: all the other non-pay channels offered as part of cable television. Typical fees are similar to free television. - All television media: includes all of the above. Fees can range from $7,500 to $12,000 because it is so all-encompassing. Usually done for successful television series. - All television and home video: all of the above plus home video. Fees can range from $10,500 to over $20,000. This is typically done for a successful series that will probably be released on DVD. - Educational and Public Broadcasting Television (PBS). These fees are set at lower rates because these networks are listener-supported and non-commercial. What this means is that separate fees can be charged for each of those uses. A production company will usually want to negotiate as many rights as possible (all media excluding theatrical) for the least amount of money. The licensor will want them to pay for each right separately and get as much money as possible. For the small, independent artist, you don’t have much negotiating power to do this unless your sound is very unique and they really want you. In most cases, they’ll just deal with someone that’s easier to work with if you prove difficult. So there you have it, a quick rundown of some typical payments for music licensing. From the unknown, independent artist to the established artists with well-known songs. And then there’s always a band like Led Zeppelin, who can get a few hundred thousand dollars for the use of one of their songs in a commercial. If that days comes for you…go ahead and let your high-paid lawyers negotiate that baby.